Lots of people dream about alternative systems that can reduce reliance upon grid energy. These are great, but they require an large upfront investment. For example, it might take several years to get home solar energy to pay for itself. You may eventually free yourself from the power company, but it can take several years to actually recoup your investment in the form of cheaper electric or gas bills and payments from the power company for excess energy produced. Consider some cheap DIY home projects to make your home more energy efficient! 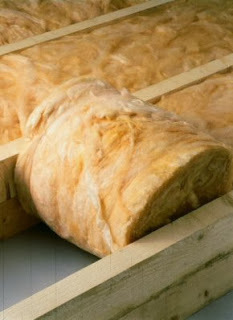 Does your home really have enough insulation? You might be able to enjoy a very quick payoff in the form or lower utility bills and a more comfortable house if you simply add to your home. Most U.S. homes are insulated, but most do not have enough. Besides, there are lots of gaps in the walls, around fireplace mantels, in window frames, and even below doors that leak out the air you have spent a lot of money to cool or heat. The best news is that a lot of these energy efficient improvements can be made as a DIY project at home. If you tackle adding more insulation to your attic, for example, you might only need to spend a few hundred dollars, and this money might be recouped within a year or two. If you need to plug up some drafts in your home, you could fix a lot of problems with inexpensive weather stripping, sealant, or even duct tape, and you could get your money back in months. Your long range goal might be to free yourself from the grid, but you will want a well-insulated house anyway. In the meantime, lower your electric or gas bill today. That might give you the extra funds you need to make more improvements in the future, and that is a very frugal course of action.